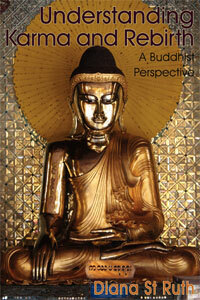 Zen’s Chinese Heritage: The Masters and Their Teachings, by Andrew Ferguson. Paintings from The Metropolitan Museum of Art. Heze Shenhui (670–762) was an eminent disciple of the Sixth Ancestor. He strongly supported and promoted Huineng’s place in Chinese Zen history. Shenhui championed the Southern school of Zen, and vociferously attacked what became widely known as the Northern school, the school associated with Yuquan Shenxiu. Shenhui put forward two reasons for his attack on the Northern school. The first was, “The (ancestral) succession is spurious.” Attacking Shenxiu’s legitimacy as the Dharma heir of Hongren was an extension of Shenhui’s proposition that that honor belonged exclusively to Huineng. Obviously, the argument was self-serving as well, since Shenhui could thus make a claim to be the true Seventh Ancestor of the Bodhidharma line. The second reason for attacking Shenxiu was, “(His) Dharma gate is gradual.” By this, Shenhui meant that the various “gradual” spiritual practices employed by Shenxiu, as well as other disciples of Hongren, were fundamentally at odds with what Shenhui regarded as the genuine Zen of his teacher, Huineng. 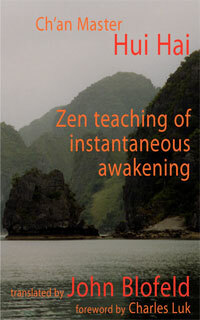 Shenhui’s life and teaching are at the center of the most hotly debated questions of Zen history and thought. He is a controversial figure who set a standard of teaching that emphasized sudden, unmediated enlightenment. This characteristic of Chinese Zen distinguishes it from other Buddhist schools. The idea of nonmediated, sudden enlightenment clearly took solid root as a centerpiece of Chinese Zen during Shenhui’s era and suffused the teachings of subsequent generations of the Southern school. Shenhui’s Zen, expounded in the name of the Sixth Ancestor, castigated the idea of “gradual” enlightenment achieved through meditation and religious practices that were meant to realize and maintain “pure original mind.” Shenhui’s proposition, in effect, attacked not only the Northern school, but many of the practices that were part and parcel of Daoxin and Hongren’s East Mountain Zen tradition as well, including their basic outlook on meditation practice. Scholars have documented that Daoxin, Hongren, and Hongren’s disciples variously used “gradualist” practices, practices that set religious life distinctly apart from secular life, in their practice centers. One example was Hongren’s disciple Zishou Zhishen, the founder of the Sichuan Zen school, who is believed to have heavily emphasized chanting Buddha’s name over all other practices. Yet Shenhui has been shown to have tampered with, not to say subverted, the historical facts surrounding Huineng’s life to gain ascendancy for his “sudden” Zen ideology. Shenhui’s account of Huineng’s life contains self-serving inconsistencies. Moreover, his writings about earlier Zen development, particularly the succession of Zen ancestors beginning with Shakyamuni Buddha, contain blatant errors and contradictions. The “Northern” school was the name applied by Shenhui to the most politically dominant and powerful stream of Zen of his era. This stream was a continuation of the East Mountain school of Hongren, as taught by his disciple Shenxiu, and by Shenxiu’s own many disciples who were spread through northern areas of the country. Shenxiu obtained unprecedented influence at the imperial court during the late seventh and early eighth centuries. Shenxiu’s disciples Puji and Yifu then carried on this influence until events overcame the school around the year 755. Shenhui’s main attack on the Northern school occurred at a conference he staged at Great Cloud Temple in Huatai in the year 734. In that meeting, Shenhui put forth the “Exposition on Determining Right and Wrong [with respect to] Bodhidharma’s Southern school.” The conference staged a debate between Shenhui and a certain “Dharma master Chongyuan,” who defended the Northern school. Although the influence of this conference on the imperial court and public opinion is disputed, the meeting clearly laid out lines of battle between the doctrines of the southern and northern currents of Zen. After the conference at Huatai, Shenhui proceeded to live in the northern capital city of Luoyang, where he directly confronted the Northern school by inciting opinion in public gatherings. Eventually, Shenhui was banned from Luoyang as a rabble-rouser. During the period of his banishment, historical events transpired that helped his cause. The An Lushan uprising, a catastrophically destructive rebellion against the Tang dynasty, led to the destruction of the twin capital cities of Luoyang and Changan. The areas suffering devastation were important regions of Northern school predominance. This direct destruction of the Northern school led to a vacuum of court influence that Shenhui’s followers managed to fill. Thus, the Southern school gained social and political ascendancy not simply due to a preferred religious doctrine, but as the unforeseen result of a civil war that wracked northern China during that era. Shenhui thus founded what became known as the Heze (in Japanese, Kataku) school of Zen. The branch largely died out during the early ninth century and is not remembered as a major school. Nevertheless, the doctrine of sudden enlightenment remained a central characteristic that defined the teaching styles and cultural flavour of later Chinese Zen. In the next Zen generation, Mazu Daoyi’s Hongzhou school vigorously adopted a teaching style that expressed the “sudden” Zen outlook. That school displaced Heze’s school in influence during the ninth century, but the doctrine espoused by Shenhui had lasting influence on all subsequent generations of Zen teachers. 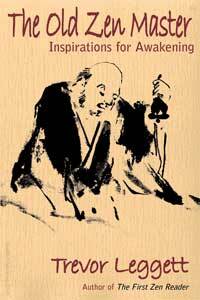 Zen master Heze Shenhui of the Western Capital came from Xiangyang. 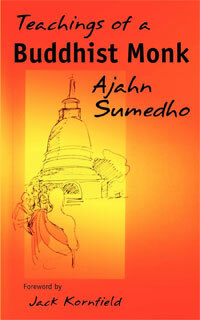 His surname was Gao, and he became a novice monk at the age of fourteen. The Sixth Ancestor said, “This novice is talking nonsense!” He then took his staff and struck Shenhui. From this time forward Shenhui served as Huineng’s attendant. Before long, Shenhui travelled to the Western Capital [Changan], where he received ordination. The following passage from the debate between Shenhui and Dharma master Chongyuan is taken from The Record of the Zen Discourses by the Monk Shenhui. In the year 760 Shenhui passed away while sitting in meditation. His burial stupa is located at Dragon Gate. Art from The Metropolitan Museum of Art. This tradition of Zen is wonderful. Passing the light on without words. One stroke of wand and the path is clearly visible.